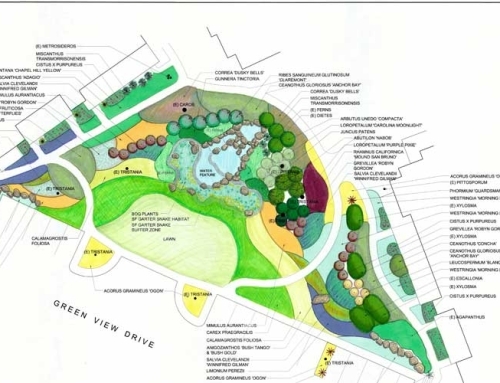 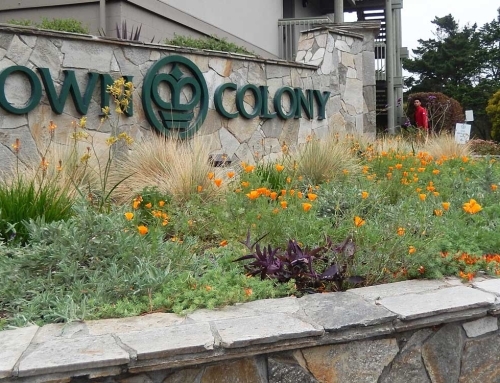 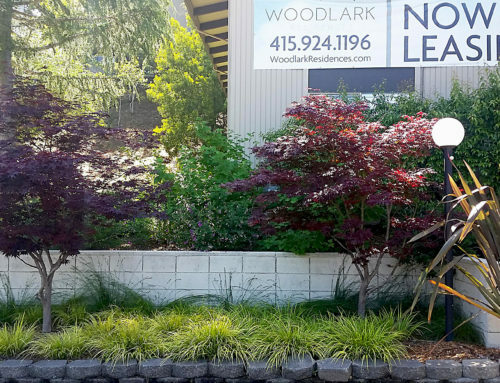 In 2011 we won a competition for the 2200 Pacific Homeowners Association to transform their landscape into a contemporary, elegant entry fitting for a 1960’s Modern, 12 story building. 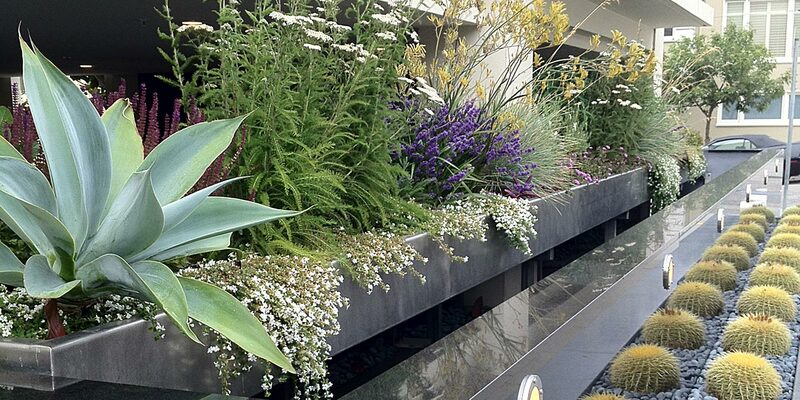 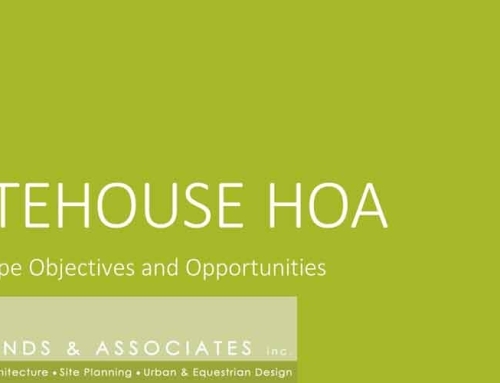 The design brief described a desire to create a “wow” factor while dealing with large vents in the street-side planters that take up over 50 % of the space, and cannot be blocked! 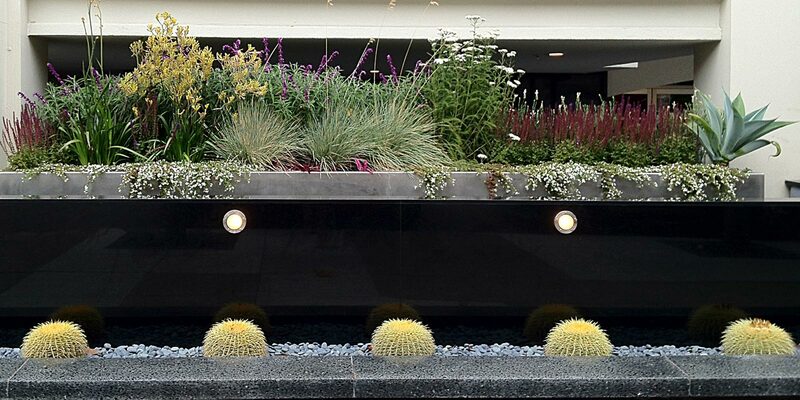 Stainless steel trays hover above the vents and hold a soft, naturalistic planting, which contrasts with new polished black granite walls and an architectural planting of barrel cacti in front of the walls, which reflect in the highly polished surface. 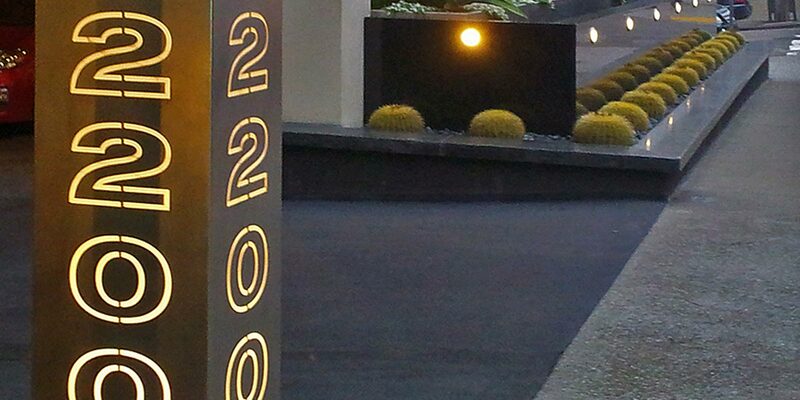 A new street number column completes the streetscape. 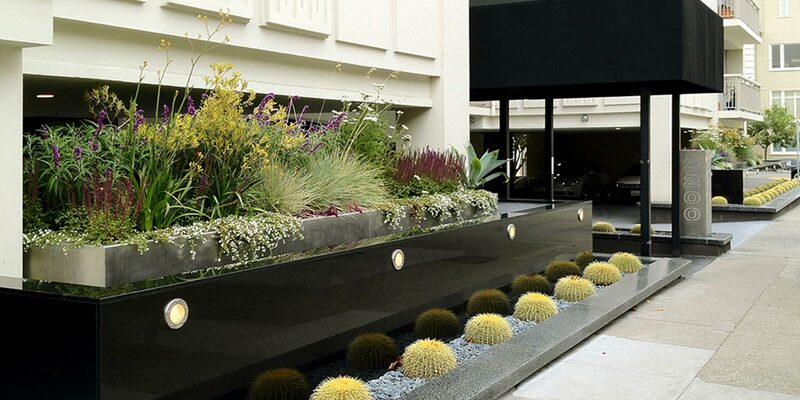 From the porte-cochere side, the planters are screened by 3-form Ecoresin panels, which hide the vents and trays, while allowing the planting to be seen from the lobby. 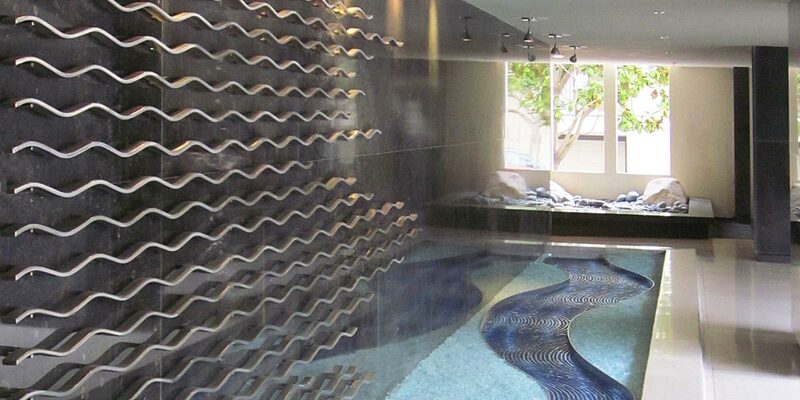 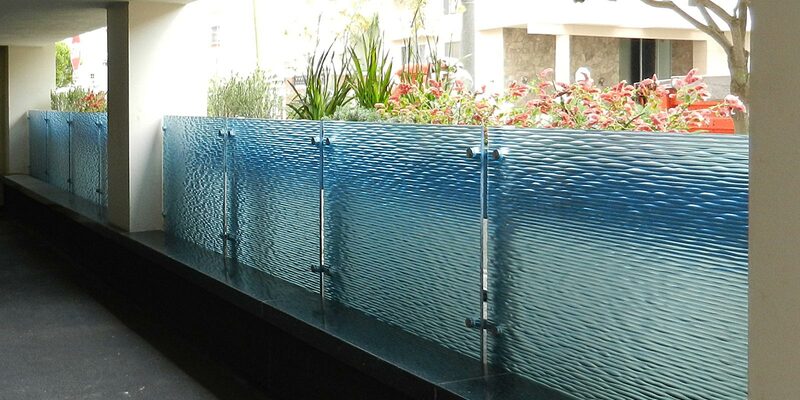 The planter by the entry lobby, under the porte-cochere, features 3-form Ecoresin panels with a ripple-like texture in translucent blue, resembling a stream. 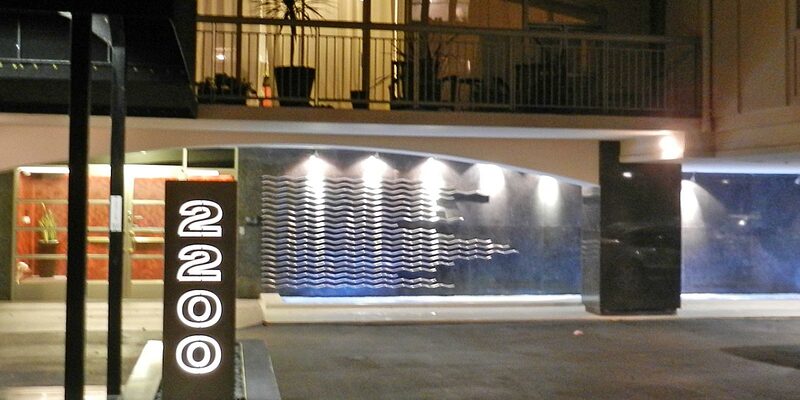 The panels are a tribute to the San Francisco Bay, with a shoreline of stainless steel edging containing crushed glass “landforms.” The LED under-lighting provides striking visual interest. 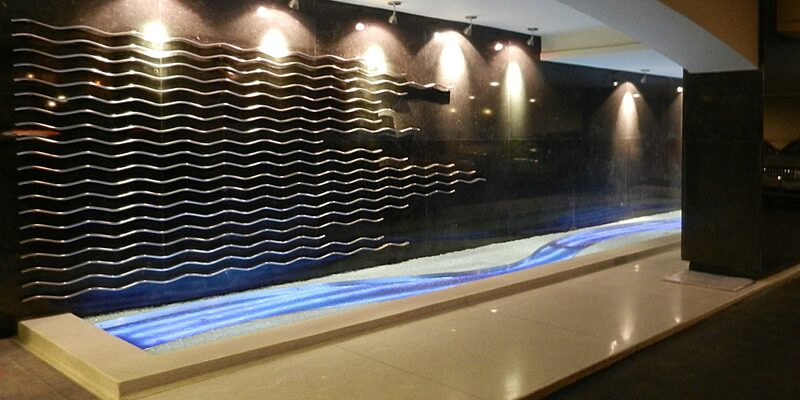 On the wall above the installation, stainless steel waves enrich the view from the street.